Christmas 2018 was an exciting time, with the broadcast of the TV and radio programmes celebrating 100 years of Carols from King's, a service in which Bob participated many times as both chorister and choral scholar. 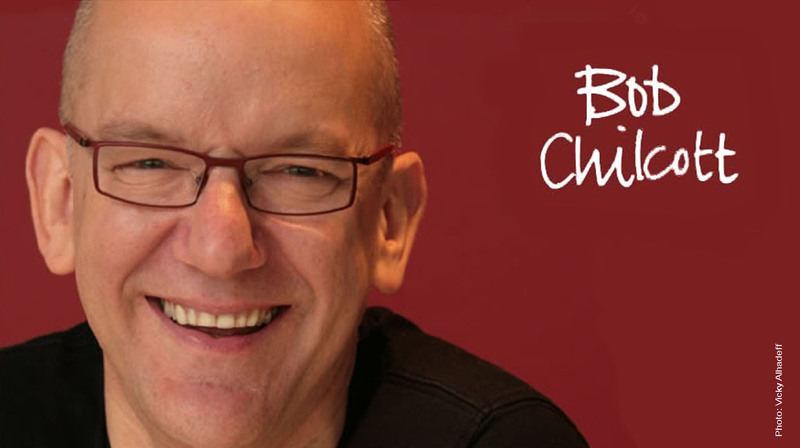 In December he also conducted Huddersfield Choral Society's joyous Christmas concert with the Black Dyke Band, and shared the podium with John Rutter for the BBC Singers' and BBC Concert Orchestra's Christmas concert in the Barbican Centre (and Saffron Hall). The Koorschool Delft workshop on Christmas carols was very well attended and singers enjoyed singing Christmas music with the composer. In January he returned to Texas for the youth choirs festival at Texas Lutheran University, and rehearsed with the university choirs. At ACDA in Kansas in February picfest launches a new initiative for Bob's return for the 2020 festival, offering more opportunities for children's and youth choirs. In June he conducts young singers in the world première of a new commission at the Crescent City Choral Festival in New Orleans. In July he'll return to Poland for his first residency with the Wroclaw Youth Choir. Come and Sing days in 2019 are already underway. Bob has visited Leeds College of Music where he explored The Voyage with over 150 talented and enthusiastic singers. Composed for Age UK's End Loneliness campaign it evoked some strong emotions in the singers. In February Come and Sing days are hosted by Burton Joyce Choral Society and Chiltern Arts, and in March he travels to Chester for an ABCD singing day, with young conductors receiving a masterclass as a part of the event. In April he workshops in Harpenden, and in Abingdon. In May he offers a preview to his new Christmas Oratorio when he workshops for the Three Choirs Festival in Gloucester. In June he travels to Limerick for the international choral festival's Big Sing, and in July he'll conduct workshops in Cambridge and Sherborne. Bob is looking forward to returning to The Really Big Chorus and conducting the Verdi Requiem at the Royal Albert Hall on 12 May with a projected choir of 1,000, and on 14 April will conduct the Burford Singers in Brahms' Ein Deutsches Requiem. World premières in the first half of the year are given at Crescent City in June, by Heinz College Chapel Choir on 14 April, and in Gloucester Cathedral on 1 August. The Three Choirs Festival commission, Christmas Oratorio, will be published by Oxford University Press and available for seasonal performance later in 2019. In March, following from the very successful Seeds of Stars CD on Signum, Bob acts as producer to the new recording by NFM, Wroclaw. Repertoire on this new disc includes the Wilfred Owen work which received its first performance in November 2018, Move him into the sun. In May he travels to British Columbia for a residency at BCCF's Chorfest 2019. Please visit the itinerary pages for more information about singing with Bob this year, and follow the links for the individual events.